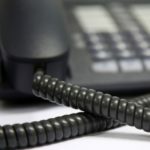 As communication technology becomes more sophisticated and accessible, the usefulness of your business’s landline is declining. There are now better and more efficient ways of communicating – cell phones are portable, and the Internet allows people to communicate with others while multitasking. 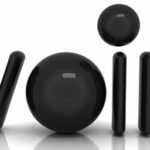 One of the best ways to communicate over the Internet is by using Voice over Internet Protocol (VoIP), which provides the best of both worlds for those who still prefer using a landline. 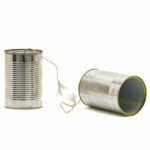 With a broadband connection, Internet users can speak with others in a way much like the traditional telephone. You speak into a microphone and your voice is converted into data and transferred over the Internet. The data is then broken down again and those on the other end of the line will hear your voice! There are also VoIP systems that allow you to video chat. 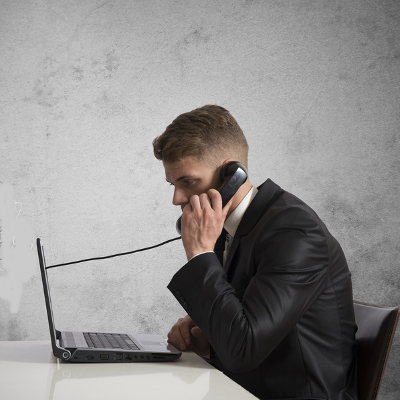 Sure, cell phones are more portable, but VoIP provides better portability than a landline. You also don’t have to deal with expensive landline or mobile phone bills. All you need to do is sign into your VoIP service provider, plug in your headset, and voila! You just turned your computer into a portable phone. 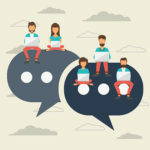 As long as you have a broadband connection, you can use VoIP from wherever you might be heading to keep in touch with clients or employees. 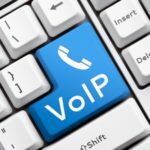 Some people will not feel comfortable sitting in front of a computer with a microphone, but VoIP has accessories that can help ease their discomfort. There are adapters that can be used to connect your cell phone into your computer, and use it with your VoIP interface like you normally would! These converters are typically USB plug-ins that are simple and easy to install and use. Many VoIP systems have a app for your phone. These converters can sense signals from your phone and transform them to digital data, which is then transferred over your network. When you first sign up for VoIP, you will receive a number exclusive to your VoIP account. This will allow you to use this number wherever you are traveling, so long as you have an Internet connection. Talk about useful! As was mentioned earlier, VoIP can be used with video capabilities in addition to voice telecommuting. This allows you to set up meetings on the Internet. There are several benefits to doing this – instead of traveling for a business meeting; you’ll be able to attend from the comfort of your own home or office. Here’s the benefit every business looks for – anything that saves your company money is a good investment. The costs of using VoIP are lower than using a conventional telephone, and long distance calls are cheaper using VoIP. If you’re still relying on your old landline for communication, call Quikteks. We can hook you up with some killer VoIP technology that will save you time and money. Call (973) 882-4644 today, and make it the last time you’ll ever have to use that ancient landline of yours!